Have you tried a hydrogel mask before? Instead of being made with cotton or paper, it's a sheet mask made of gel, often bio-cellulose. While this makes the application process a little tricky and a bit slippery, the benefits are manifold. The gel texture tends to have a cooling, soothing feel, adding a refreshing burst of hydration to your routine. Plus, it really sticks to your face, resulting in less slipping and sliding around. The only (minor) drawback? Hydrogel masks come with a bit of a learning curve. Most of them are packaged similar to stickers, usually with a backing you peel off once you apply the mask. Some even have protective film on both sides, which can be a little confusing, but once you get the hang of them, you'll find they're worth the extra fumbling. 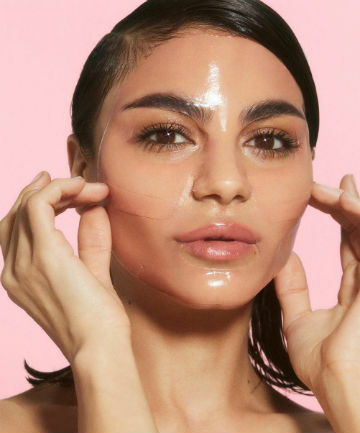 Interested in giving hydrogel masks a try? Here are 11 of our favorites.